The event is organised to raise awareness of the diversity and value of disabled people with all (visible and invisible) impairments or conditions and is organised by a diverse Committee of disabled people. 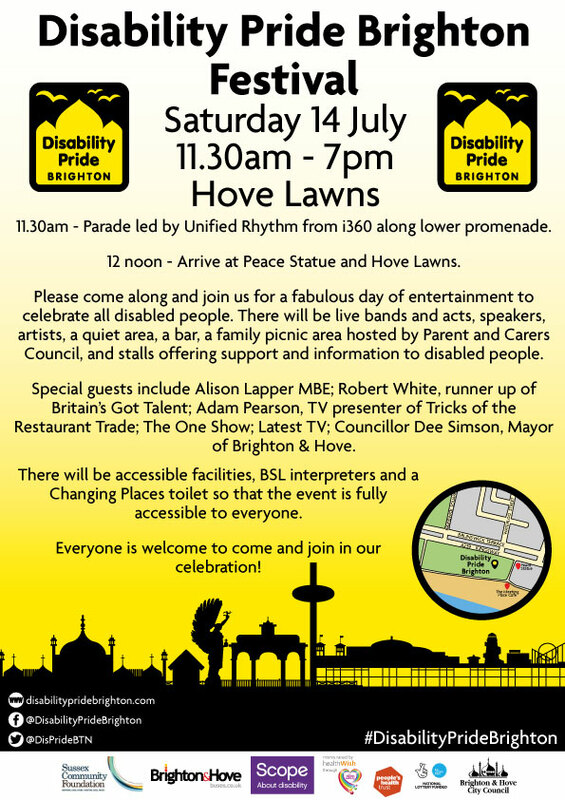 Parade start location: There will be a short parade led by Unified Rhythm (an 80% disabled integrated carnival group) starting at 11:30 along the promenade, from the British Airways i360 to the Peace Statue at Hove Lawns where the event itself will start at 12:00 noon. We talk to Jenny Skelton about Disability Pride that is happening on Hove lawns on Saturday the 14th of July. The 283 Crew performing their routine to Michael Jackson’s ‘They Don’t Care About Us’ with a solo from Steven Barnett. 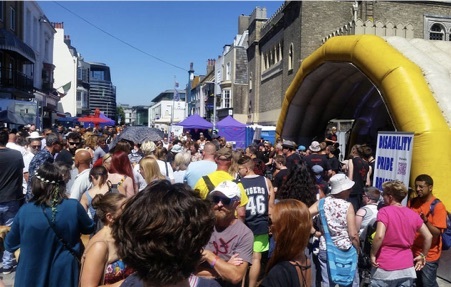 This performance took place at the first ever Disability Pride event in New Road, Brighton, on 9 July 2017. 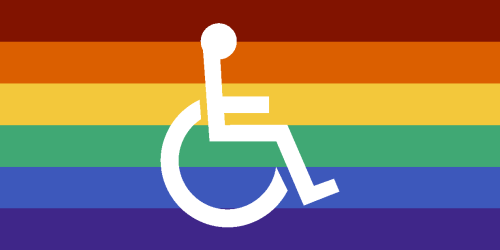 Disability Pride is a celebration of the disabled community and is supported by Brighton Pride.